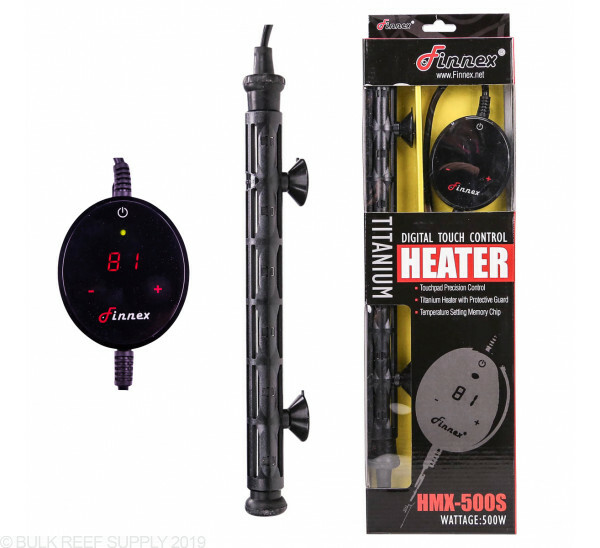 Heaters are by far one of the most important pieces of equipment on any reef tank. 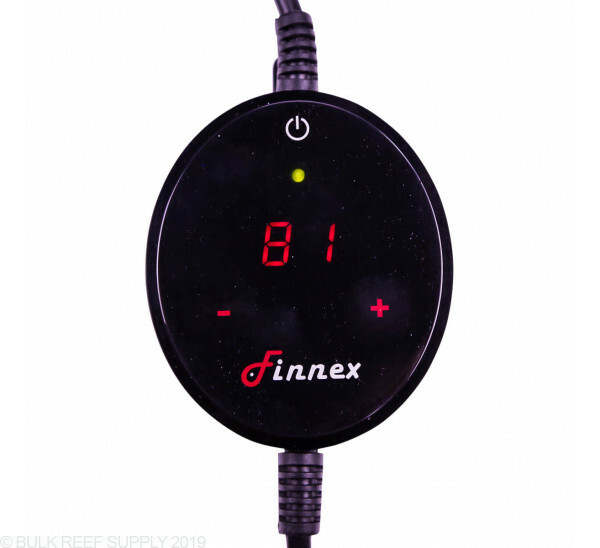 Finnex has been making high quality, compact electric, titanium heaters for years and allow you to create a safe and very stable temperature within the tank. 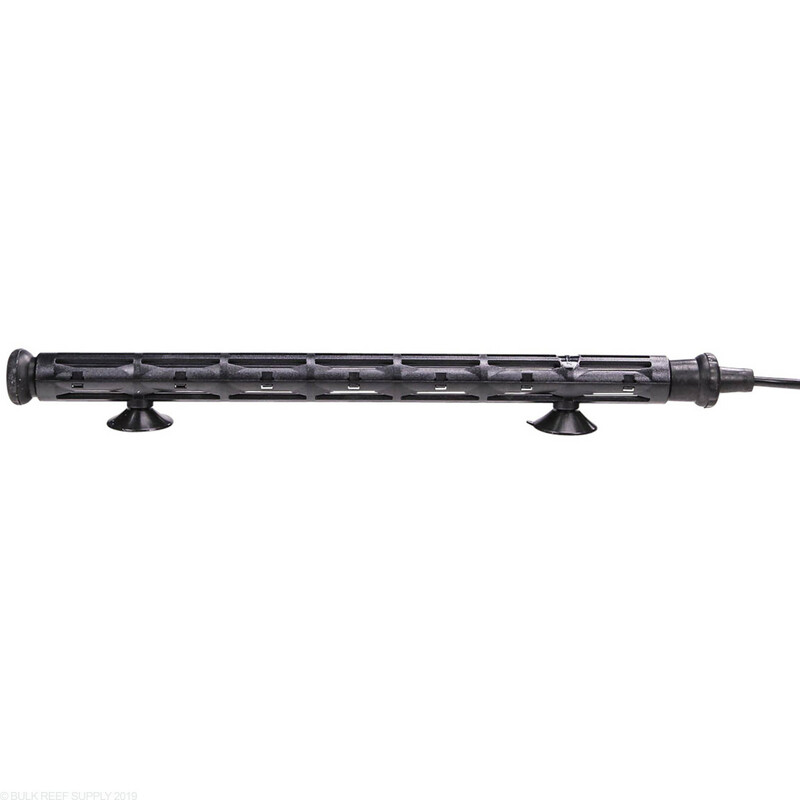 The titanium body of the HMX-S heater is virtually unbreakable unlike glass heaters and are corrosion resistant. The new and improved controller on the HMX-S series has been modernized, with a touchpad control interface, and a crisp LCD display, allowing you to know the temperature of your tank at a glance from across the room. All HMX-S heaters now include a plastic guard to cover the heating element portion of the heater. 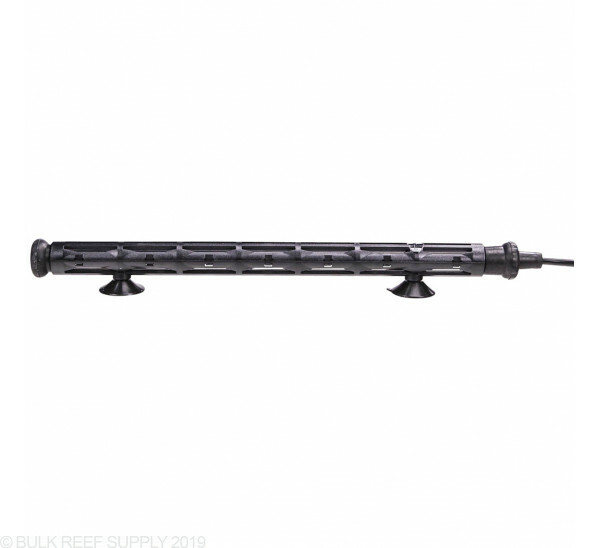 That will help keep any equipment or livestock from coming into contact with the element and overall making a much safer environment within the tank. 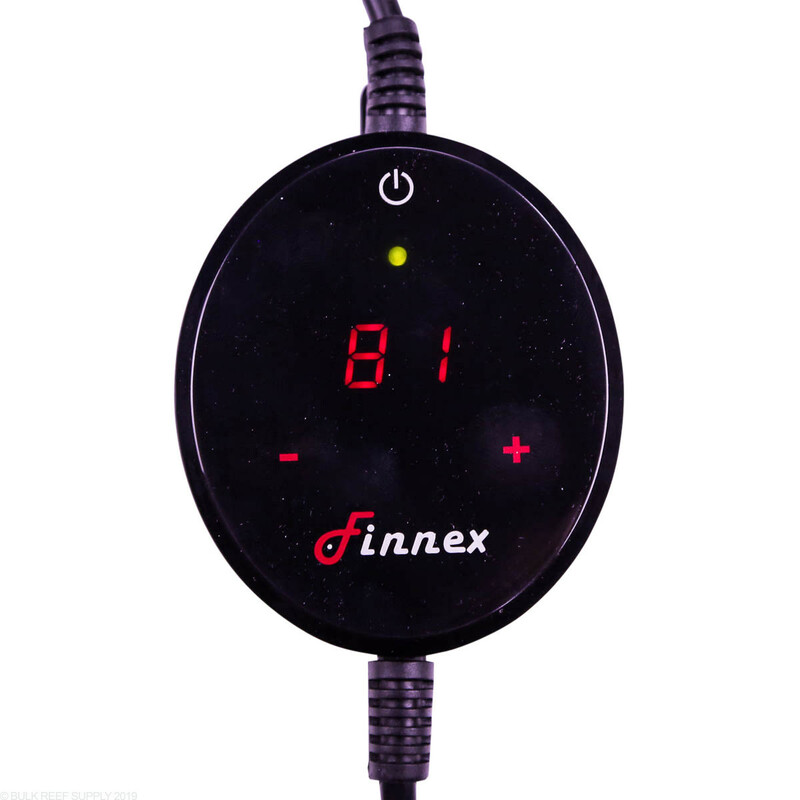 Finnex HMX-S heaters come with an attached digital, touchpad controller that will allow you to precisely set the temperature within your aquarium. 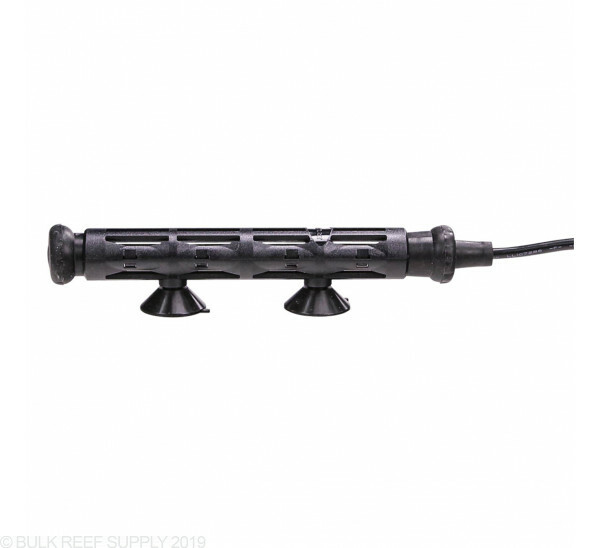 These heaters are great for fresh or saltwater aquariums that require a stable, and safe heating system. 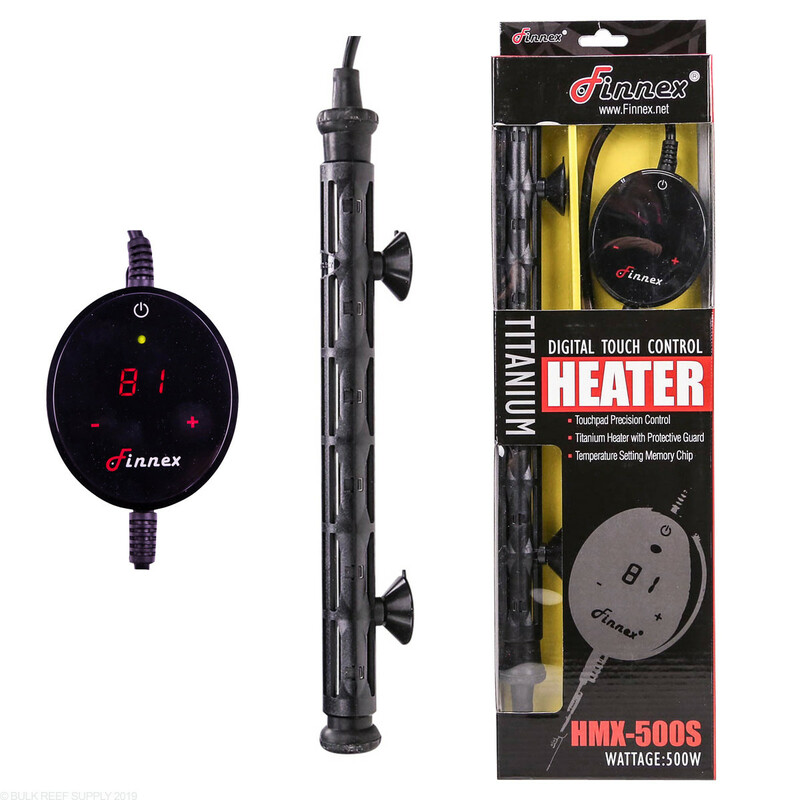 The HMX-S heaters will keep the temperature within a range of +/- 2 degrees from the set point and with the heating indicating LED you will know when the heater is producing heat or not. Additionally, Finnex digital heaters are equipped with memory. so in the event there is a power outage, your heater will resume your preset temperature settings at start up. Please note that the digital display reads in Fahrenheit. I like the built in controller. I've never had the problems with temp accuracy like people are describing here. I am running it through an Inkbird controller now, just for peace of mind, but I would do this with any heater regardless of quality. I was using one to heat a 135g display with 35 gallon sump just fine, but I added a second for redundancy, because all heaters eventually fail. I have 3 of these and personally I like them better than the eheim Jager. I've been using the 300 watt heater on my 40g breeder for a few months, so far it's been accurate and problem free. I need to order a few for my acclimation tanks. Besides what's already been mentioned several times regarding the temperature readings...I cannot adjust mine (probably faulty). I placed a new 300w in a 75g tank and set to 79f. After 72 hours, the tank still wont get above 76.2f. It is placed in the sump next to a varios 6 turned to max (roughly 1000gph after head loss), so there is plenty of flow. The heater keeps shutting off because the senor thinks its warm enough. I had to up the temp to 84f on the controller to get it to 78.6. I left it that way for 24 hours then retunred the heater to 79f and it dropped the tank back to 76. This is the last time I listen to BRS instead of the reviews. As many have stated, it is off by many degrees. However, I have an Apex and a traceable thermometer so I can accurately set the range to compensate for the heater issue. I have been running 4 heaters (2 in sump, 1 in qt, and 1 in mixing tank) with no issues. Keeps the water temp dead on. They should definitely fix the issue, but in the end, not that big of a deal if you have the proper tools to check them by. Like others have stated, I too have a 2-3 degree difference between tank temp and heater set temp. I called Finnex and was told that the 150 watt heater is not big enough for an open top 40 gallon tank. After plugging it in to an Apex and manually selecting the outlet on, I can see from the current draw that this heater turns on and off on its own every couple of minutes. It looks like the heater actually heats maybe 50% of the time. It takes several hours to heat a 5 gallon bucket of water from 60 to 75 degrees. So, overall.. if you do buy this heater make sure it is way oversized for the application. I bought 3 of these at the Back Friday sale. Just now setting up the tank. 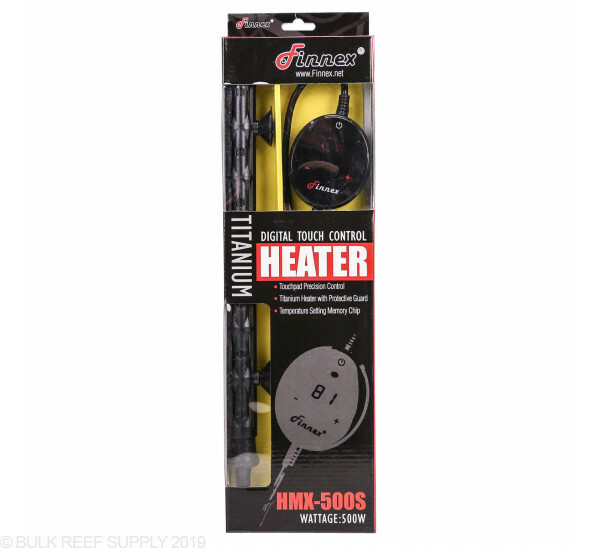 I've used several brands of heaters and wanted to try the finnex titanium. The first heater fried the controller within 1 minute. The second heater is over 4 degrees off. The cord from the heater to the controller is pretty short so its hard to get it away from water, but the controller does not look at all water proof, and that is unacceptable around a tank. Complete waste of money. I'll get something better for my reef. I read good things about Finnex, but this model is junk. The thermostat doesn't seem to work. It stays between 78-79, but my Apex says 74-77. So it is up to 4 degrees off, but also, when the Apex thinks that temp goes up 3 degrees, the Finnex thinks it has only gone up one degree. My tank buddy bought the same heater and had the same problems. Now, I see the reviews about this model and wish I had done a little more research. Can these heaters be recalibrated? 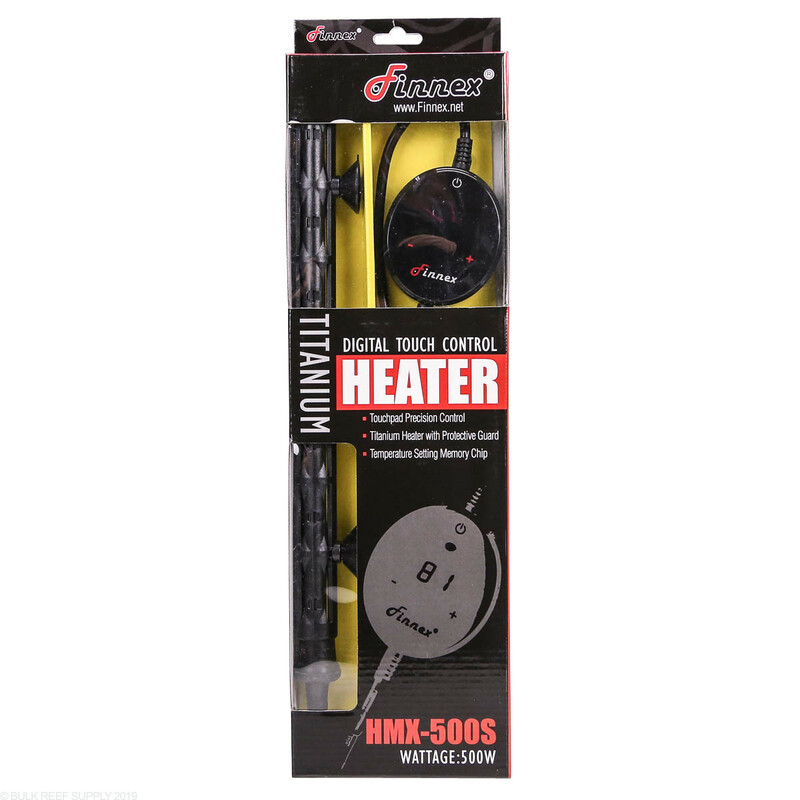 The HMX-s heaters cannot be calibrated, however if you ever do notice their temperature is off, just use it as a reference. In all honesty depending on what your reference for temperature is, the heaters are usually pretty accurate within a degree or two. Lastly, is the display pad waterproof? The Display will be used to set the ideal temp, after a few seconds it will display the actual tank temperature. The display will be +- 2 degrees. Teh display is not water proof and will need to be placed with care. This is slightly water resistant but not proof. Is the LED display on these heaters water resistant? I had an older version of this heater, and it died after only a few weeks. Was told it was water damage to the controller, which was sitting on the side of my sump. This will have a plastic cover and may be able to prevent small splashes however this is not designed to be water resistant and if water is left on it or creeps through the connection will cause damage. we recommend 2.5-5 watts per gallons. 250-500 watt heater depending on the background temperature of the room.